To use any callas product on a computer, you need to activate it first. This is true if you have bought a license key but also if you want to run the trial software. 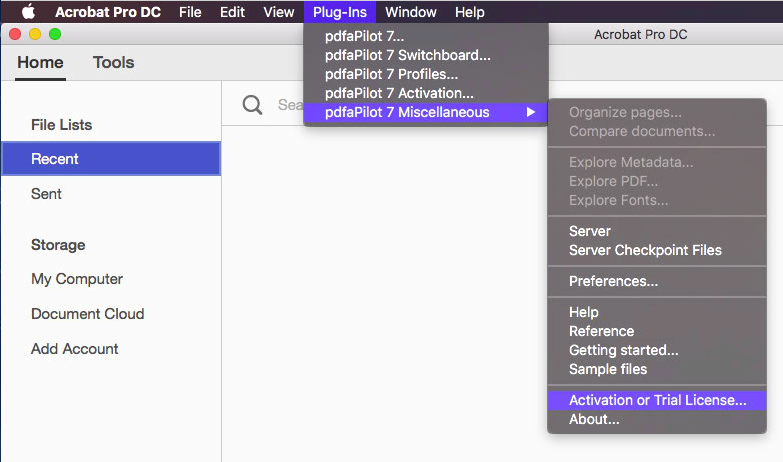 This article explains how the normal activation procedure for pdfaPilot Desktop and DeviceLink Add-on Desktop works and which steps you have to go through. 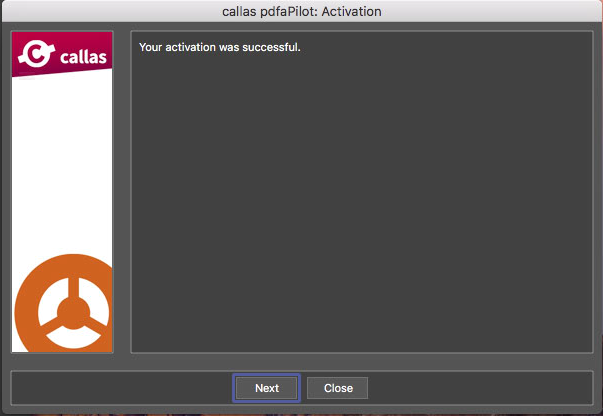 If you have bought a license for callas pdfaPilot Desktop, click on the "Activate full version" button; you will need a valid license key. You'll need to fill out the window in step 2. If you simply want to try the product, click on "Activate trial version". You'll need to fill out the window in step 3. After this procedure, your callas pdfaPilot Desktop license will be activated. 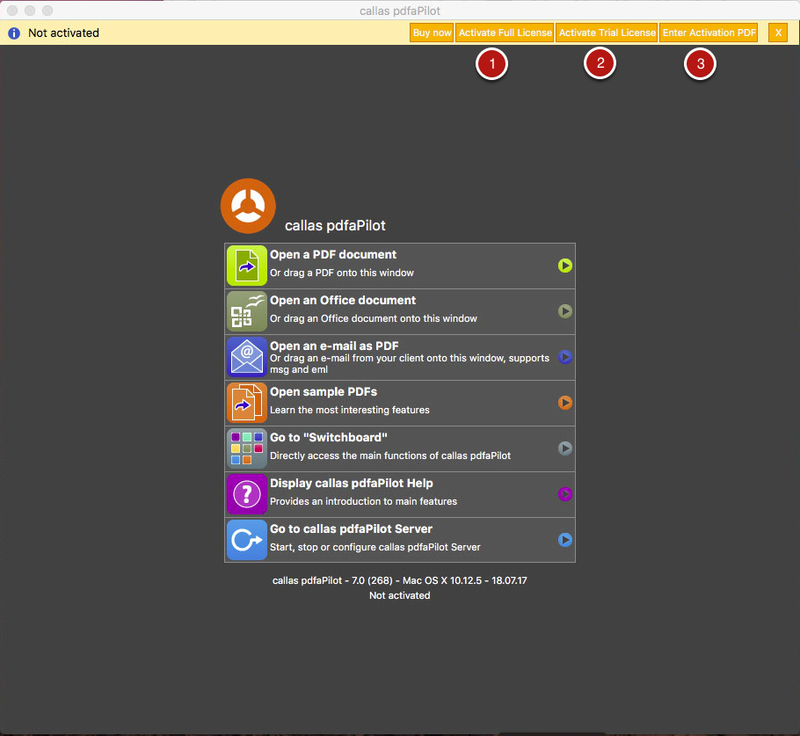 Go to "Help > About callas pdfaPilot". 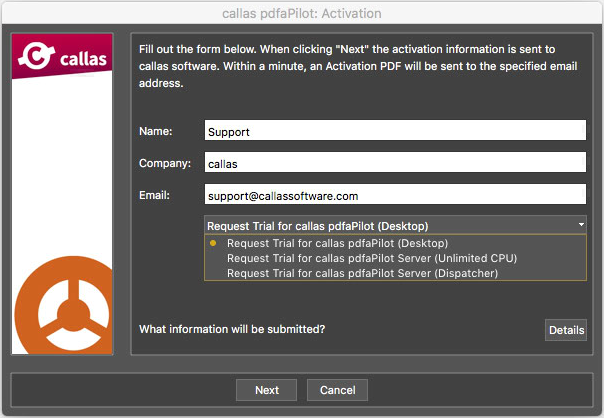 Choose the product "callas pdfaPilot (Desktop)". After the procedure, your callas pdfaPilot Desktop license will be deactivated.